Need an effective marketing method in your neighborhood? Reach out to Mobile Ads and we’ll help you maximize your exposure. 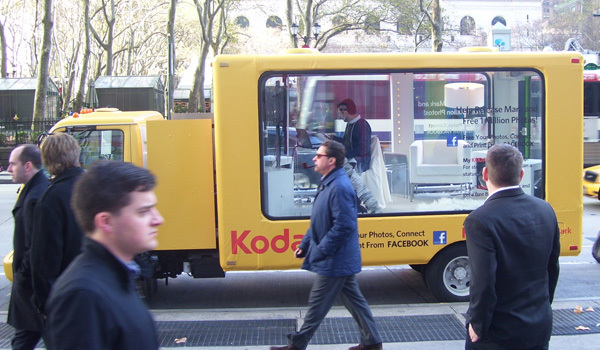 For 25 years our mobile advertising vehicles have been used to communicate with customers and increase brand awareness. 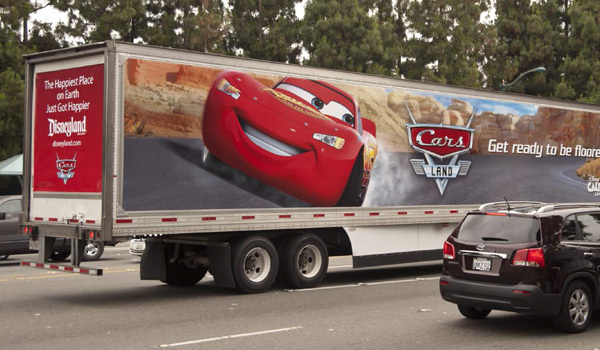 Your message will be displayed on impressive fleet of advertising trucks. Once we display the signage on the selected vehicle, we drive it to your desired location increase brand awareness and inform the customers about your product or services. 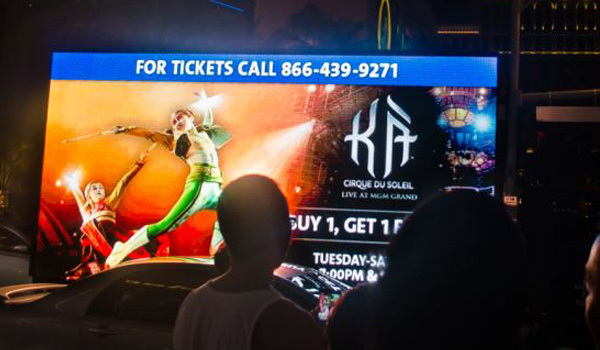 We do this multiple hours a day, exposing your message again and again in your service areas. Mobile Ads provides all work performed with daily GPS reports to show proof of locations traveled, speeds traveled, and the start and ending times of your daily truck advertising campaign. You will also have the cell phone number of the driver, giving you complete control over your mobile marketing campaign. Pennsylvania is a state with a population of 12.78 million people. Philadelphia, Pittsburgh, Allentown, Erie, Reading, and Harrisburg all belong to this state. With such famous sports teams as the Philadelphia Phillies, Pittsburgh Steelers, Philadelphia Eagles, and Pittsburgh Penguins, not to mention such Historical sites such as Gettysburg and Bethlehem, it’s no wonder that the state of Pennsylvania attracts over 190 million visitors a year, injecting 39.2 billion dollars into Pennsylvania’s economy. 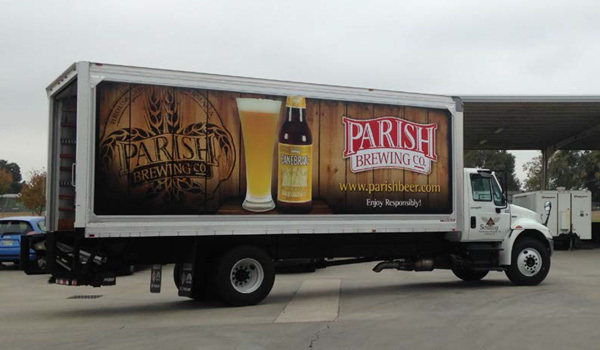 Mobile Billboards and Truck side advertising anywhere in the state of Pennsylvania is sure to make the impact of your company’s message a grand slam. Connecticut has a population of 3.576 million people. Millions of people visit the state of Connecticut every year, generating near 8 Billion dollars of revenue for the state. With cities like Hartford, New Haven, Bridgeport, and Stamford it’s no surprise that Connecticut has the fourth highest population density of any state, giving your mobile billboard or truck side advertisement additional value per dollar. Rhode island has a population of just over a million people. With major cities such as Providence, Newport, Warwick, and Cranston it’s not surprising that approximately 15 million people visit every year, bringing in over 3 billion dollars in direct spending to the state annually. Rhode Island has the second highest population density of any state, giving your mobile billboard of truck side advertisement additional value per dollar. Washington, D.C. has a population of just over 681,000 people, with approximately 20 million people visiting Washington, D.C. every year. In 2016 visitors generated 7.3 billion dollars for Washington, D.C.’s local economy. Washington, D.C. is also home to sports teams such as the Washington Redskins, Washington Wizards, and the Washington Nationals, all of whom bring in thousands of visitors per year, giving you the perfect opportunity to make your company’s message heard by advertising around these events. 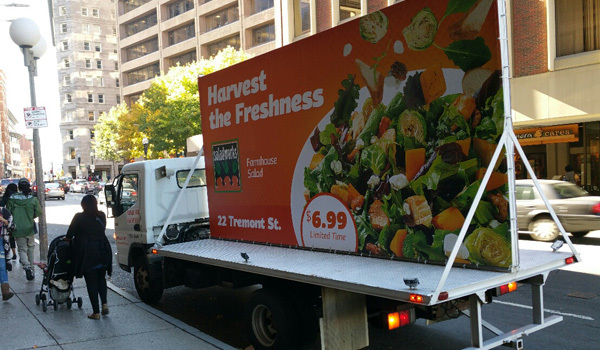 It’s easy to see from the statistics how effective a mobile billboard or truck side advertising strategy in Washington, D.C. would be at generating success for your company.